Coachella newbies and seasoned veterans alike know, they're in for a weekend (or two) of great music, toasty temperatures and most importantly, trendsetting festival style. So if you're starting to plan what to pack, we're here to help. While in years past, it was boho details that dominated, things are shaping up to be different in 2017. With trends like bomber jackets and dad caps dominating street style, we can expect these staples to trickle down to festival dress as well. Below we're highlighting nine of the biggest trends we would take to Coachella. Each has a practical purpose, but it manages to offer up some major style, too—how can you say no? So, whether it's Radiohead or Kendrick Lamar you'll be dancing the night away to, you'll be doing it in style. Check out our nine must-wear pieces for Coachella below. Since things can get chilly in the evenings, you'll want to pack a jacket. Bombers feel effortlessly cool, and unique details like piping and embroidery give them an especially fresh spin in 2017. 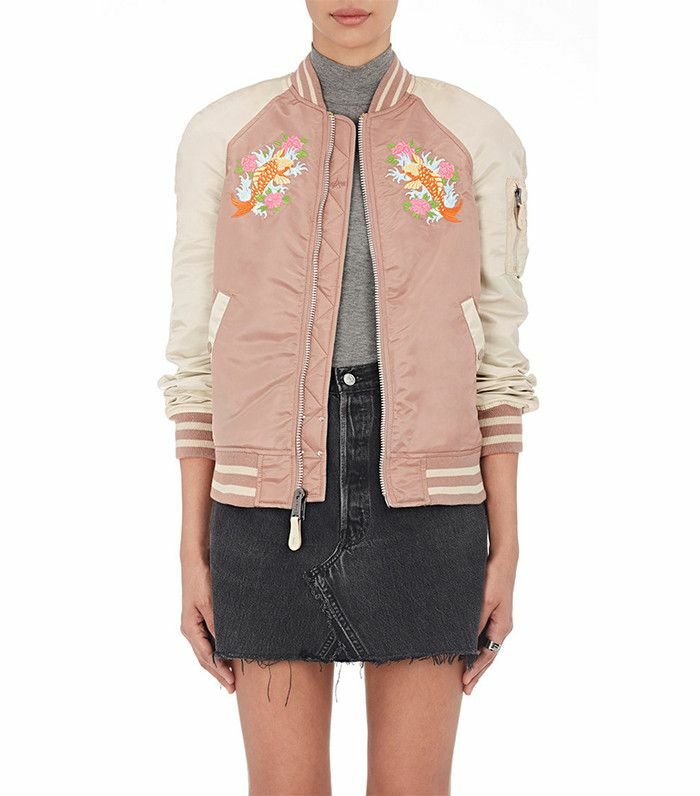 Embroidery gives this bomber the right springy feel. A sleek white jacket is a refreshing take. When you're out all day at the festival grounds, you'll want to be prepared. A stylish backpack will come in handy when it comes to carrying water, sunscreen and snacks. Carry everything you need in this handy pack. Throw this over your shoulder, and head on your way. Keep your face out of the sun, while also making a fashion statement in a cool but under-the-radar dad hat. You'll be sunburn-free in this hat. Swap your wide-brimmed hat for this sporty style. No festival would be complete without a pair of denim shorts. This year, keep an eye out for higher-waisted styles that you can easily wear with boots or sneakers. Side-striping sets these shorts apart. Swap your standard denim for these white shorts instead. A relaxed-yet-feminine white top is a 2017 respite from the more bohemian styles of past years. A lightweight white top is perfect for warm weather. The wide sleeves allow for coolness. This lightweight dress will help you dance the day and night away. Stand out from the crowd in this fun yellow dress. For a day when only jeans will do, swap out your usual skinnies for a cropped kick flare. Styles with a rough hem feel especially appropriate for a day outdoors. A light wash feels just right for daytime. If a little dirt is no big deal, white jeans are a great warm-weather choice. If you're ready to retire your flower crown, consider going for statement earrings instead. These would work for Coachella and the office. Cost per wear: 10/10. Make the most of your earrings and pair them with a white tee and denim cutoffs. When you're spending a long weekend dancing in the dust, there's nothing that can compare to a great pair of western boots. A metal cap top is a standout style to try. These boots look great with denim shorts. Next up! The Instagram hashtags to mine when you need fresh inspo.